An Australian postman, armed only with a DriftHD 1080P Camera and some dog treats, shows just how easy it is to traverse a neighborhood full of dogs; without shooting them. The fact that ‘puppycide’ is even a word is a tragedy within itself. Last year The Free Thought Project reported on a slew of tragic dog shootings, including one department in Buffalo, NY whose officers shot 92 dogs from Jan. 1, 2011 through Sept. 2014. Last year we broke the story of a SWAT team responding a dispute between two neighbors and then shooting a small dog as it ran away from them. In October of last year, we broke the story of the sickening video uploaded to facebook of a Cleburne Texas Police officer calling a small dog towards him and then shooting it. Why are these cops killing so many dogs? Is it because their lives in are in danger of ending every 98 minutes as they come across vicious animals in the line of duty? Some people in law enforcement actually expect us to believe that. However, a video published to youtube by an Aussie Vlogger, who happens to be a postman, shows us that interacting with dogs, even menacing ones, can be done, without killing. Watch below as friendly Australian postman, Cody Stavros, records some of the many dogs he encounters along his route. 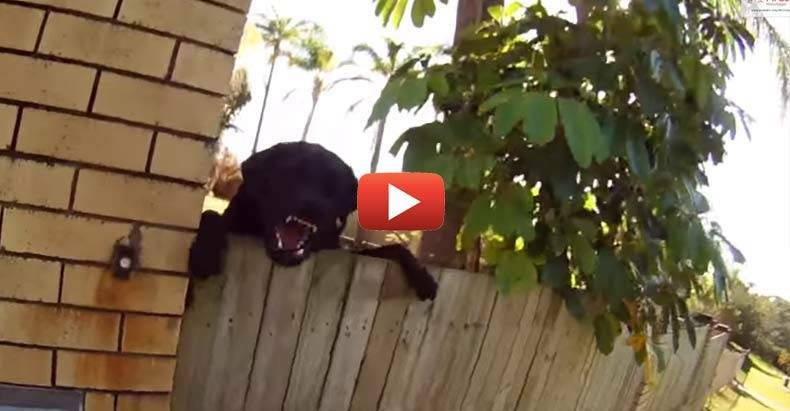 Some of these dogs are welcoming and nice, while others are ferocious. Either way, Stavros deals with them, without shooting them.